First Joseph asked about the previous 15 years of Moodle. 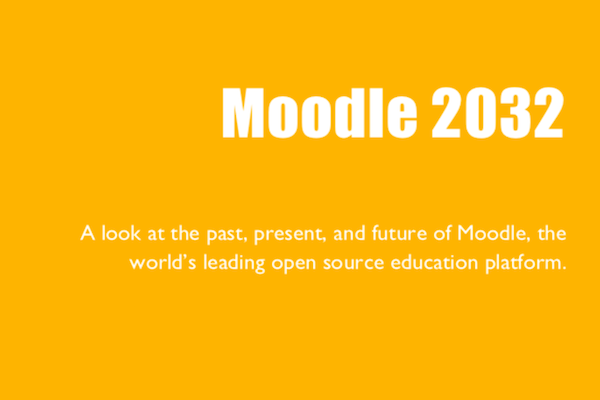 What is the single most important thing the Moodle community has accomplished in the last 15 years? Stuart: “In the early days, I might have said making Open Source a viable option for an LMS. But realistically that battle is now won. [Free and open source software] doesn’t scare people anymore, and the huge benefits of this openness are generally understood. The Moodle community is such a huge concept. Do we mean the people on moodle.org? Do we mean every teacher that uses it? Do we mean the developers and the decision-makers who adopt it? Each group has their own needs and desires, and they can be very different. A community of school teachers, is different to a community of university professors, which is different to a group of multimedia designers, which is different to a group of non-for-profit or commercial course providers. Stuart: “If I think about why organizations might adopt Moodle, ultimately, it’s because it’s a secure, scalable solution, containing a variety of useful teaching tools – a mature product with good documentation and a supportive community. Exactly which features are most important to you depends largely on who you are. For some it will be the reporting tools, for others the quiz engine, for others the mobile capabilities. Stuart: “Heading up a Moodle Partner company for the past 11 years has meant Moodle is fairly and squarely at the centre of my professional life. It’s been a roller- coaster at times, with good and bad, but mainly good. Without doubt the most enjoyable part has been involvement with Moodle Moots. I’m lucky enough to have been keynote / presenter / organizer of more than 30 Moodle Moots around the world including USA, Canada, Oman, Greece, Italy, Spain, Romania, and of course here in Australia and New Zealand. Next post we will look at the responses to the next 15 years !